Every stove is hand built in Britain with pride, just as they have been for 160 years. Not only are these stoves built with attention-to-detail by skilled craftsmen, they are also some of the most energy efficient on the market, helping save on energy bills and running costs. 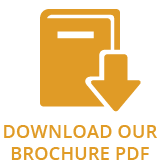 A wide range of styles and specifications ensures there is a stove to suit you and your home perfectly. There are models with hot water boilers, double door models and even a stove that cooks to perfection. Every ESSE stove (except the Ironheart) is also available as a smoke-exempt or ‘SE’ version which is suitable for burning wood in smoke control areas thanks to an innovative, clean-burning design. All ESSE stoves also feature Afterburn™ airwash technology for clear door glass and exceptional burn rate control. 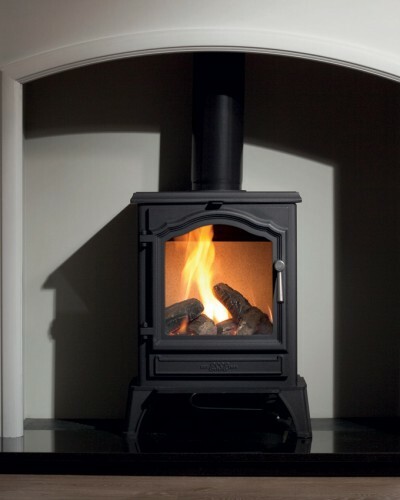 All ESSE stoves offer an excellent energy efficiency rating of over 80% for glowing and economical warmth day and night. 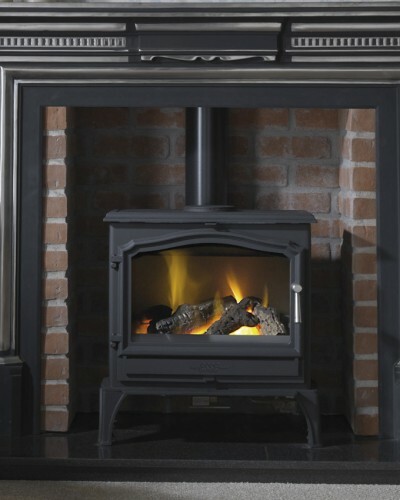 This stunning 4.7kW stove offers a crystal clear view of the fire through a single door with an extra large window. 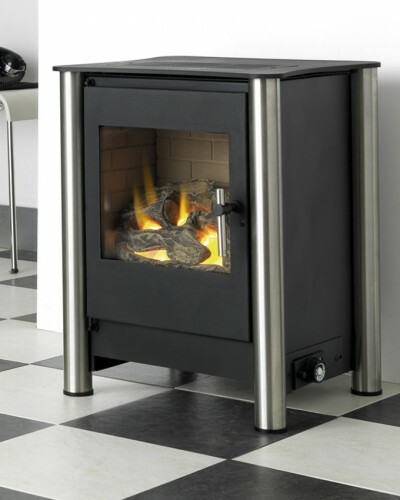 This log effect gas stove does not require a flue giving you the freedom to locate it virtually anywhere. By using the latest catalytic technology all burnt gas emissions are ‘scrubbed’ clean and leave the stove as warm clean air. In addition to ease of location, catalytic technology also offers 100% efficiency. A quintessential ESSE stove, the Gas 500 Vista is a bonny addition to the ESSE gas stove collection. 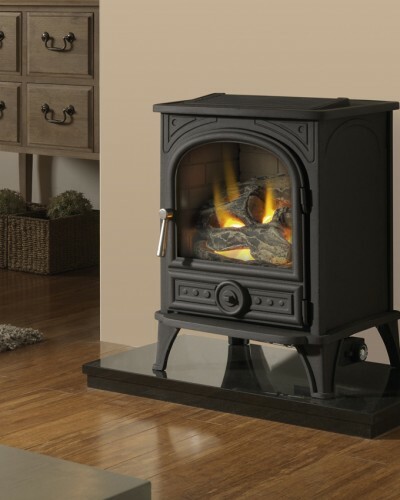 The cast iron detailing beautifully reflects a multi fuel stove and a delightful full flame sparkles over natural looking logs, so realistic you have to glance twice.